The Environmental Protection Authority (EPA) is seeking submissions on a consultation paper for transitional regulations made under the Hazardous Substances and New Organisms (HSNO) Act, which regulates pesticides, dangerous goods, household chemicals and other dangerous substances. Changes were made to the HSNO Act as part of the Government’s Health and Safety Reform. Part of these changes include moving the workplace hazardous substance rules from HSNO to the Health and Safety at Work Act (HSWA). Moving these requirements has created some gaps in the rules. To fill these gaps, specific rules are being set in the Hazardous Property Controls (HPC) Notice. To make sure these gap filling rules are in place for all existing HSNO approvals when the HPC Notice becomes law (expected December 2017), transitional regulations are needed under HSNO. The EPA is seeking public feedback and comment on the proposals set out in a consultation document to inform the development of the transitional regulations. The transitional regulations will be developed by the Ministry for the Environment (MfE). To read the consultation and make a submission, click here. Deadline for submissions is 12 May, 2017. 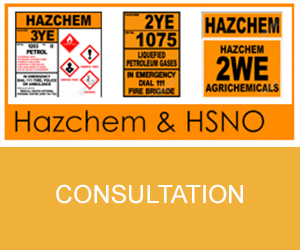 Hazardous substances: Coming soon to a town near you?